Carlos or Carlitos in the Spanish way is our energetic and extroverted South American guide. Even though he loves samba, beans and football, he decided to leave Brazil in 2006 and arrived for the first time in Barcelona. What was supposed to be a three months holiday ended up being a three years stay. His passion for traveling and learning about new cultures has led him to visit, live and study in more than 10 countries. After graduating as an official tour guide in Brazil and having worked for two years in Rio de Janeiro, he decided to return to Europe. Why Barcelona? Ask him in his tours. 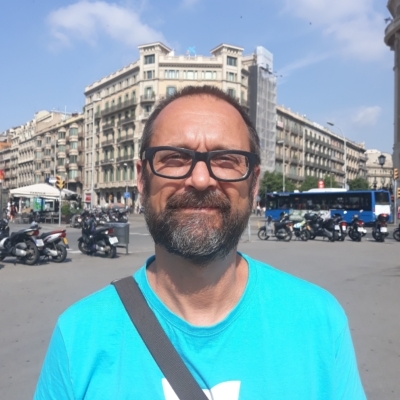 Born and brought up in the cultural hive that is north Wales, and after studying acting and touring the UK with various theatrical shows Patrick moved to Barcelona with his Spanish wife to explore the romantic beauty of this Catalan city. Nine years later and with a Spanish/Welsh son, he continues the joy of performing and sharing his love of history, art and culture to all who wish to know more about this vibrant, eclectic and truly fascinating city. 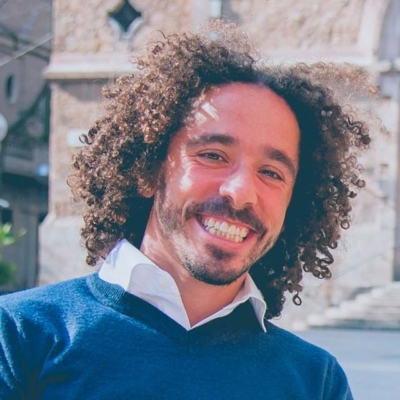 Riccardo studied International Relations and worked as a journalist and communication specialist. 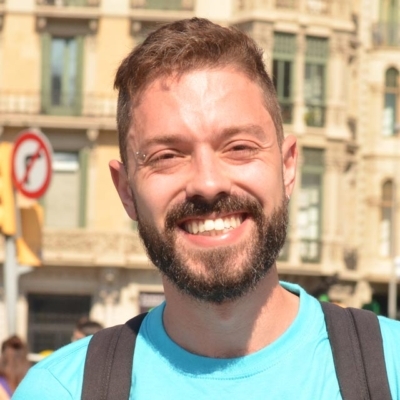 Tired of his desk job and the cold, foggy winter weather in Milan, he decided to leave Italy together with his cat Loki and move to the sunny Barcelona. Since the first time he lost himself in the narrow streets of the Gothic Quarter he fell in love with the Old City and began to explore every secret hidden corner. He likes history, philosophy and a good glass of sangria. 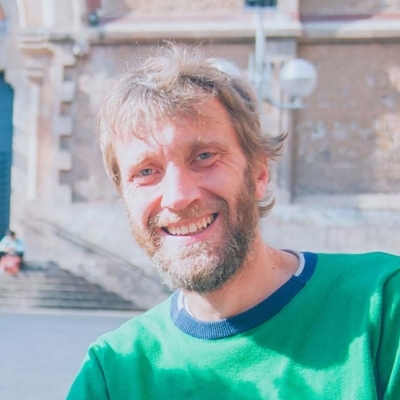 Born in Barcelona in the popular Poble Sec neighbourhood, David came back to his beloved city after many years working as a guide in Greece. A passionate hunter of stories about the lesser known and secret aspects of Barcelona, he loves to get lost in the forgotten bars of ancient “barrios” where you can often find the most amazing stories.